Myriam Klink and her revolution took it to her Facebook profile (link) to announce that she will be running for the Orthodox seat in Metn in Lebanon’s upcoming 2013 elections. 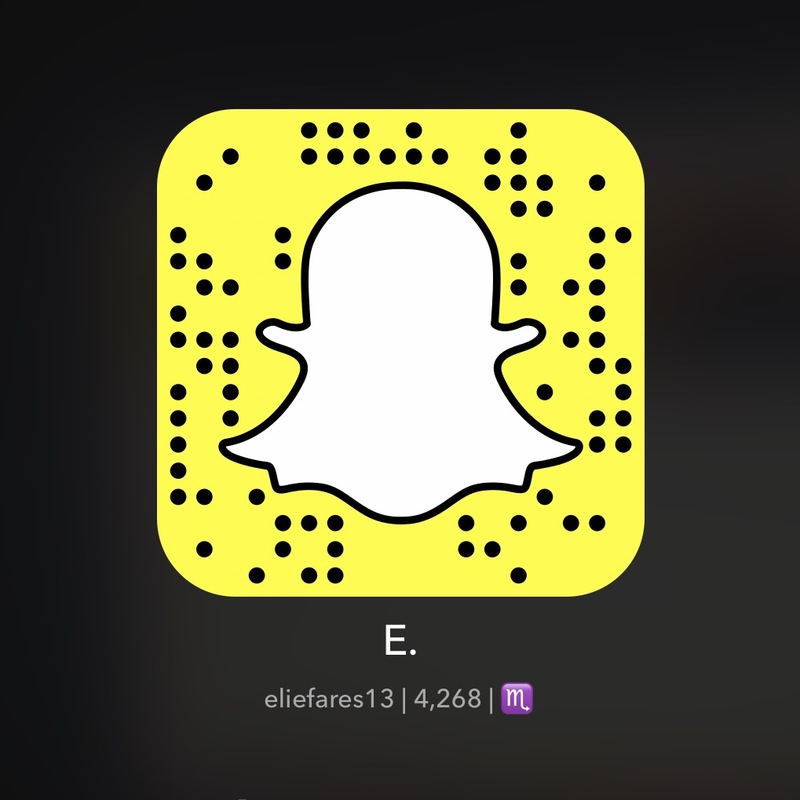 She joins another model-turned-politician-wannabe called Nathalie Fadlallah who runs a modeling agency in seeking a parliamentary seat in the Northern district of Koura. Klink wants to go parliament in a super mini skirt and give people electricity and development. I know a few things that will get “developed” in parliament if she wins. If you know what I mean. With the current political blockade of the country Klink doesn’t stand a chance if she goes through with her plan. But I actually agree with a few points that she raised there especially when it comes to women rights. She may not be nowhere near qualified, not that most of our MPs actually are, but she might as well bring a breath of fresh air – no pun – to parliament. So the hell with it – why not have Klink run for elections? 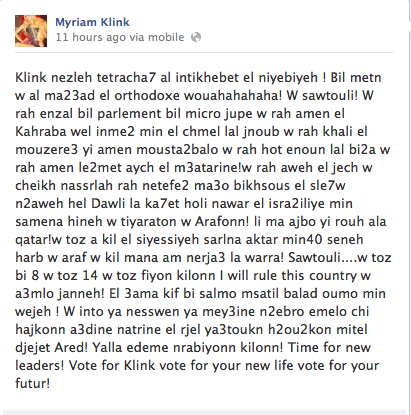 This entry was posted in Elections 2013, Lebanon and tagged Elections, Lebanon, Myriam Klink, parliament. Bookmark the permalink. Brace yourselves.. fap fap fap parliament jokes are coming. but let her quit singing, it is not her thing at all 😦 !!!! we will call her party the pinky, or the fushia 😛 ! If I were from Metn, I’d vote for her as well – at least she’s better than Murr and his gang. Whatever gets her to stop singing, huh? Whatever she does gets turned into an event. I’m sure she wouldn’t mind either way. Not a fan of hers, but gotta admit that she does make some valid points! She does – horrible dictation, but otherwise valid points. Agreed. But considering who’ll most probably win the seat she’s challenging, I think she’d make a better option. The “futur” seems so bright if she wins! She does raise some valid points though. It’s very sad that we have to make a choice between underqualified whores and corrupt shits. Anyone qualified with a proper education and real balls who tries to make a change in this country just gets assassinated. Or if they don’t get assassinated, they sell out to the highest bidder. but i suppose one can never fight alone and he chose what would be best for his own safety and his family’s. i wouldn’t blame him.